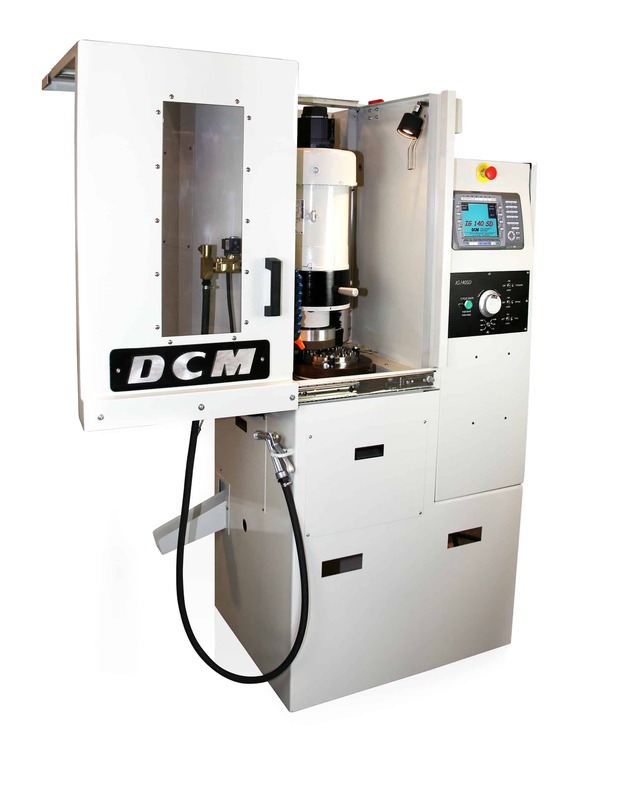 DCM Tech’s IG 140 SD rotary surface grinding machine fills some big shoes but with a small footprint. It has a 32″ x 26″ footprint and a 56″ x 26″ operating envelope. This rotary surface grinding equipment uses minimal shop space. Operating parameters are fully programmable for processing alloy, ceramic, and crystalline materials. The 12″ rotary table can be configured to accommodate a variety of vacuum, hydraulic, or magnetic production work holding systems. Mechanical design features include servo-driven precision ball screw feed, enclosed dovetail ways, cast iron machine foundation, and a precision cartridge spindle with 5hp variable speed drive. The DCM IG 140SD may be the answer to your production requirements in the tool room, job shop, or manufacturing cell.